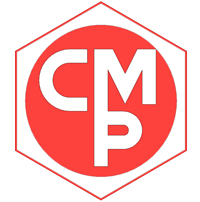 Structure and facilities | CMP Bresso s.r.l. CMP Bresso has an internal design unit, where the customer’s requirements are completely followed with an accurate and precise advice. 3D CAD workstations for mould design are completed with 3D CAM softwares for tools achievement. Maufacturing department realizes technopolymers injection moulds and high precision mechanical devices. Every single part is produced by customer’s planning and by CMP engineering department. Molding department has horizontal and vertical presses in a range from 50 to 175 tons. All the presses are equipped with accessories to allow the transformation of any kind of thermoplastic material.